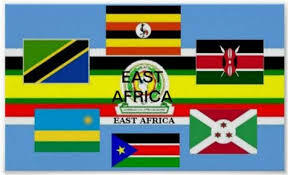 If you’re just joining us, please check out Part-I of Demystifying the East African Community. The following are key timelines concerning the re-switching on of the East African Community. 30 November 1993: 1st Summit of East African Heads of State sign Agreement establishing the Permanent Tripartite Commission for East African Co-operation in Kampala, Uganda. 14 March 1996: Secretariat of the Commission for East African Co-operation launched in Arusha, Tanzania. 29 April 1997: 2nd Summit of the East African Co-operation Heads of State is held in Arusha, Tanzania; 1st East African Co-operation Development Strategy (1997 – 2000), East African Flag and East African Passport launched; and Permanent Tripartite Commission mandated to embark on process of upgrading EAC Agreement into Treaty. 30 April 1998: 9th Meeting of the Permanent Tripartite Commission in Arusha launches a draft Treaty for Establishment of the East African Community; approves programme for its wide publicity; EAC Memorandum of Understanding on Co-operation in Defence signed in Arusha; Tripartite Agreement on Road Transport signed in Arusha; and Inland Waterway Transport Agreement signed in Arusha. 30 November 1999: 4th Summit held in Arusha at which Treaty for the Establishment of the East African Community is signed. 7 July 2000: Treaty for the Establishment of the East African Community enters into force; new regional organisation, the East African Community, comes into being. 15 January 2001: 1st Summit of the East African Community is held in Arusha; signs Protocols on: Rules of Procedure for the Summit of Heads of State; Rules of Procedure for the Admission of other countries to the East African Community; and formally launches the East African Community at the Sheikh Amri Abeid Stadium in Arusha. 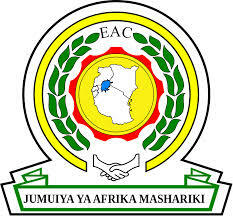 30 November 2001: 3rd Summit of EAC held in Arusha; EAC Heads of State inaugurate East African Legislative Assembly and East African Court of Justice. 2 March 2004: EAC Summit signs Protocol for Establishment of the EAC Customs Union. 1 January 2005: EAC Customs Union becomes operational. 18 June 2007: The Republic of Rwanda and the Republic of Burundi accede to EAC Treaty. 1 July 2007: Rwanda and Burundi become full members of the EAC. 5 June 2007: Second Assembly (EALA) sworn in. 1 July 2009: Rwanda and Burundi join the EAC Customs Union. Official launch ceremonies held simultaneously in the two countries’ capitals on 6 July 2009. 20 November 2009: Protocol for the Establishment of the EAC Common Market signed; climax of observance of EAC 10th Anniversary celebrations; laying of foundation stone for EAC Headquarters in Arusha. 1 January 2010: EAC’s fully-fledged Customs Union takes effect following the end of a five-year transitional period. The decision for re-establishing the East African Community is a right decision taken at the right time. It is a right decision that will enable East African partner states to withstand the forces of globalization, provide an enabling environment for attracting foreign direct investments and create a large market of over 90 million people. The EAC will remove barriers and obstacles for trade within East Africa, reduce the cost of doing business in East Africa, and eventually improve the welfare of East Africans. Establishing the East African Community Co-operation is not a joke. Deliberate efforts must be made to avoid the collapse of the new East African Community, as happened to the previous East African Community in 1977. Tanzanians, Ugandans and Kenyans must start thinking as East Africans and stop thinking as individual nations. Economic, political, global, social and financial resources challenges need to be addressed for the survival of the community. Looking at EAC objectives, it suffices to argue that the community aims at increasing the social welfare of East African citizens through regional economic, social, political and cultural integration. EAC is the vehicle that is determined to transform the life of East African citizens from poverty to a better standard of living. In order to achieve the objectives of EAC, the treaty establishing EAC provides three phases of integration: Custom Union, Common Market and Monetary Union, and eventually, Political Union. Judging by the fact that East Africa is no longer just Uganda, Kenya and Tanzania, but rather is now an amalgamation of TUSKER ~> Tanzania| Uganda| South Sudan| Somalia| Kenya| Ethiopia| Rwanda and not forgetting Burundi, the initiative to stop thinking on a simple country scale should not be left in the kitchen, but rather served up on the menu for all to take a slice of. A customs union is a type of trade bloc which is composed of a free trade area [A free-trade area is a trade bloc whose member countries have signed a free-trade agreement (FTA), which eliminates tariffs, import quotas, and preferences on most (if not all) goods and services traded between them. If people are also free to move between the countries, in addition to FTA, it would also be considered an open border.] with a common external tariff. The participant countries set up common external trade policy, but in some cases they use different import quotas. Common competition policy is also helpful to avoid competition deficiency. A Customs Union is usually set up to increase economic efficiency and establishing closer political and cultural ties between the member countries. It is the third stage of economic integration. Customs unions are established through trade pacts. With the coming into force of the Protocol Partner States agreed to eliminate all the internal tariffs and other similar charges on trade between themselves. It was further agreed that the establishment of a Customs Union would be progressive in the course of a transi­tional period of five years. Partner States immediately agreed that goods to and from Uganda and Tanzania shall be duty free. Goods from Uganda and Tanzania into Kenya shall be duty free; however goods from Kenya into Uganda and Tanzania were grouped into two categories. Category A goods were eligible for immediate duty free treatment. Category B goods from Kenya into Uganda and Tanzania have the present tariffs phased out over a five year period. Annex 11 of the Protocol provides the internal tariff elimination schedule. A 3-band common external tariff was also established with a mini­mum rate of 0%, a middle rate of 10% and a maximum rate of 25%. Partner States undertook to review the maximum rate of the common external tariff after a period of five years from the coming into force of the Customs Union. Partner States agreed to remove all non-tariff barriers, and that no new non-tariff barriers would be imposed. They also undertook to formulate a mechanism for identifying and monitoring the removal of all these non-tariff barriers. This mechanism is now in place. Steps toward the harmonization of monetary and fiscal policies have included convertibility of the partner states’ currencies, harmonization of banking rules and regulations, harmonization of Finance Ministries’ pre- and post-budget consultations, regular sharing of information on budgets, and reading of budget statements on the same day. In capital markets, there have been changes in the policies and trading practices and regulations in the three stock exchanges. The committee for The Establishment of Capital Markets Development that oversees development of the capital markets in the East African Community aims to develop East African Community Capital Markets including managing cross-listing of stocks. In April of 2010, the East African Community partner states signed important protocols that will promote tourism in East Africa. These protocols are: the protocol on Environment and Natural Resources Management and the protocol for the Standards Criteria for the Classification of Hotels, Restaurants and other Tourist Facilities. The two protocols will help in promoting East Africa as a single tourist destination and will result in attracting more tourists and increasing the contribution of the tourism industry to the East African economy. In the third and final article in this 3-part-series, i shall break down some of the key impacts that the re-switching-on of the East African Community will occur in a simple Q & A format.